Scion Fog Lights. OEM & Aftermarket Fog Lights for Scion FRS, iQ, tC, xA, xB & xD. Scion Fog Lights available in Clear, Yellow, Smoke, Halo and LED Versions from Eagle Eyes, Spec D Tuning, Spyder Auto & Winjet. Enhance your lighting! 13+ Scion FRS Fog Lights. LED or OEM Fog Lights for Scion FRS. Choose from Fog Lights by Spec D, Spyder or Winjet. FRS Fog Lights available in Clear, Yellow & Smoke Lenses. Fog Lights are sold as a pair (left and right sides) for your Scion FRS. 13+ Scion FRS Headlights. Projector Halo Headlights for Scion FRS. Choose from FRS Headlights by Spec D, Spyder & Winjet. 13 14 15 Scion FRS Halo Projector Headlights available in Black or Chrome Housing with Angel Eyes & LED options. Scion Headlights. Aftermarket Headlights for Scion FRS, tC & xB. Choose from Scion Halo Projector Headlights by Eagle Eyes, Spec D Tuning, Spyder Auto & Winjet. Enhance your lighting with show quality Scion Projector Halo Headlights. Scion Tail Lights. Aftermarket Tail Lights for Scion FRS, tC, xB & More. Choose from Euro or LED Scion Tail Lights by Eagle Eyes, Spec D, Spyder Auto or Winjet. Choose from Black, Chrome, Smoke, Red or Black & Smoke Tail Light Upgrades. 05-10 Scion tC Fog Lights. Aftermarket Fog Lights for Scion tC. 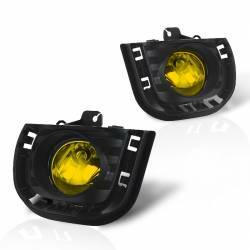 Choose from Clear, Smoke or Yellow tC Fog Lights. Scion tC Fog Lights are available in Lower Sides or with OEM Style Grille Insert. tC Fog Lights by Winjet, Spec D, Spyder & more. 11-15 Scion tC Fog Lights. Aftermarket Fog Lights for Scion tC2. 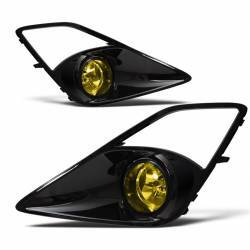 Choose from Clear, Smoke or Yellow tC Fog Lights. Also available in LED or Halo Projector Style Fog Lights. Scion tC2 Fog Lights by Winjet, Spec D, Spyder & more. 04-06 Scion xA Fog Lights by Winjet. Winjet Fog Lights for Scion xA are now available. 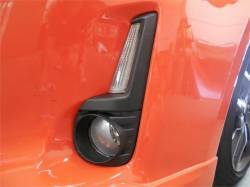 Scion xA Fog Lights by Winjet are a direct OEM replacement. Reuses original wiring harness and switch. Intended for xA's equipped with factory fogs. 2004-06 Scion xB Fog Lights by Winjet. Winjet OEM Fog Lights for xB. Winjet Fog Lights available in Clear, Smoke or Yellow. These are a direct replacement and include OEM Type Switch. Reuses original factory fog light wiring harness. 08+ Scion xB Fog Lights. OEM & Aftermarket Fog Lights for xB2. Choose from xB2 Fog Lights by FastScions & Winjet. Enhance your light at night and look during the day with a set of Scion xB2 Aftermarket Fog Lights. Available for 08-15 xB. Description: Winjet Smoke Fog Lights for the 04-06 Scion xB WJ30-0068-11. Winjet OEM Fog Lights are now available for your 1st gen Scion xB. 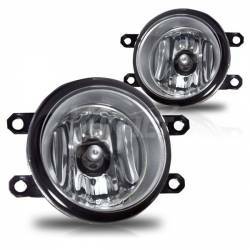 Choose from Clear, Smoke or Amber Fog Lights made specifically for OEM fitment on your Scion xB 2004 - 2006. Description: Scion FRS Winjet Yellow Fog Lights. Winjet Yellow Fog Lights for 13-16 Scion FR-S. Winjet WJ30-0339-12 Scion FRS OEM Yellow Fog Lights. A true, authentic replica of OEM FRS Fogs. 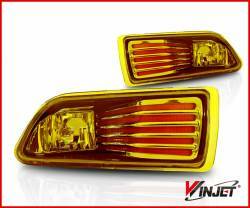 Description: Winjet Amber Fog Lights for the 05-10 Scion tC WJ30-0070-12. The Winjet Scion tC Fog Lights are a direct replacement and come with housing & lense, H3 Bulbs, wiring harness, relay & switch and all hardware for your Scion tC!! Description: Winjet Amber Fog Lights for the 04-06 Scion xB WJ30-0068-12. Winjet OEM Fog Lights are now available for your 1st gen Scion xB. 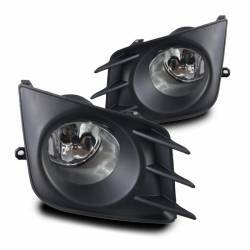 Choose from Clear, Smoke or Amber Fog Lights made specifically for OEM fitment on your Scion xB 2004 - 2006. Description: Scion FRS Winjet Clear Fog Lights. Winjet Clear Fog Lights for 13-16 Scion FR-S. Winjet WJ30-0339-09 Scion FRS OEM Clear Fog Lights. Clear OEM Style Fog Lights by Winjet?, 1 Pair. A true, authentic replica of OEM FRS Fogs. 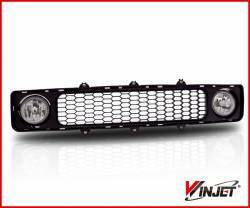 Description: Winjet Clear Fog Lights for the 04-06 Scion xB WJ30-0068-09. Winjet OEM Fog Lights are now available for your 1st gen Scion xB. Choose from Clear, Smoke or Amber Fog Lights made specifically for OEM fitment on your Scion xB 2004 - 2006. 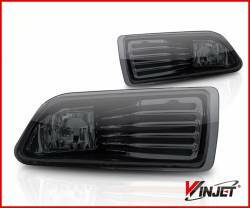 Description: Winjet Fog Lights (Clear w/ Black) for the 05-10 Scion tC WJ30-0070-09. The Winjet Scion tC Fog Lights are a direct replacement and come with housing & lense, H3 Bulbs, wiring harness, relay & switch and all hardware for your tC!! Description: Winjet Clear w/ Orange (OEM) Fog Light Kit for the 05-10 Scion tC WJ30-0070-09-OR. The Winjet Scion tC Fog Lights are a direct replacement and come with housing & lense, H3 Bulbs, wiring harness, relay & switch and all hardware!! Description: Winjet Smoke Fog Lights for the 05-10 Scion tC WJ30-0070-11. The Winjet Scion tC Fog Lights are a direct replacement and come with housing & lense, H3 Bulbs, wiring harness, relay & switch and all hardware for your Scion tC!! Description: 16 Scion iM / 17-18 Toyota Corolla iM Fog Lights by Winjet WJ30-0451-09. Scion iM / Toyota Corolla iM Fog Lights by Winjet are a direct OEM replacement. Comes with wiring harness, switch, fog lights, housings and hardware. Description: 11-13 Scion tC Fog Lights by Winjet. 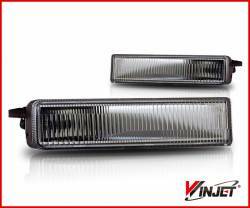 Winjet Clear Fog Lights for 11-13 Scion tC are now available. Scion tC2 Fog Lights Kit includes left and right housings, fog lights, wiring harness and OEM style switch. Description: 14-16 Scion tC Fog Lights by Winjet! Finally, Winjet has developed a Scion tC2 Fog Light Kit for 14-16 Scion tC Models. This is a complete Fog Light Kit featuring left and right housings, fog lights, wiring harness and OEM Style switch. Description: Winjet Black / Clear LED Tail Lights for 13-16 Scion FR-S. Winjet WJ20-0323-04 Scion FRS LED Tail Lights available in Black / Clear, Black / Smoke, Smoke, Red and Chrome. Description: Winjet Black / Smoke LED Tail Lights for 13-16 Scion FR-S. Winjet WJ20-0323-05 Scion FRS LED Tail Lights available in Black / Clear, Black / Smoke, Smoke, Red and Chrome. Description: Winjet Chrome LED Tail Lights for 13-16 Scion FR-S. Winjet WJ20-0323-01 Scion FRS LED Tail Lights available in Black / Clear, Black / Smoke, Smoke, Red and Chrome. Description: Winjet Glossy Black / Clear LED Tail Lights for 13-16 Scion FR-S. Winjet WJ20-0323-16 Scion FRS LED Tail Lights available in Black / Clear, Black / Smoke, Smoke, Red and Chrome. Description: Winjet Red LED Tail Lights for 13-16 Scion FR-S Winjet WJ20-0323-08 Scion FRS LED Tail Lights available in Black / Clear, Black / Smoke, Smoke, Red and Chrome. 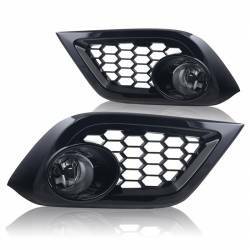 Description: 13-16 Scion FR-S Winjet Projector Headlights (Black). Winjet Scion FRS Projector Headlights are finally available. 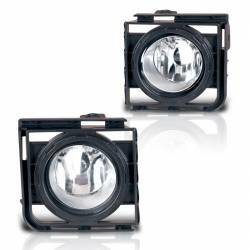 Winjet WJ10-0327-04 13-15 Scion FRS Projector Headlights. Description: 13-16 Scion FR-S Winjet Projector Headlights (Chrome). Winjet Scion FRS Projector Headlights are finally available. Winjet WJ10-0327-01 Chrome Projector Headlights.